These picture books about Australia's history are a fantastic way to introduce your children to the story of how Australia was settled by the English in 1788 and of the Aboriginal history of Australia which stretches back at least 60,000 years before that. They're perfect for kids aged between 5 and 10 but some of them are worth reading to younger children too so do try them with your three or four-year-old. 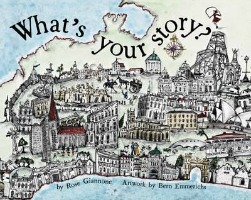 I would begin with the brilliant What's your story? which I've only just discovered. Published in 2013, it's beautifully illustrated and actually does a great job of introducing the concept of history as a series of stories to young children. It also tells the story of white settlement from the Aboriginal point of view and does so beautifully. 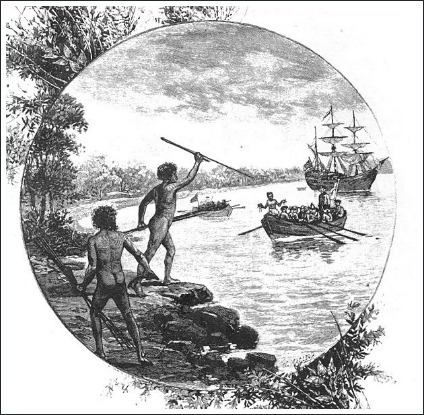 In Australia, where I live and teach, children begin to learn about the first white settlers and the impact their arrival had on the First Peoples when they are in Year 3, so about 8- or 9-years-old. I've used these books with quite a few Year 3 classes and they've really enjoyed them. Most of them incorporate - or focus on - Aboriginal perspectives and so, if you're a teacher, they'll help you meet this cross-curriculum priority. This is a fairly new book (published in 2013) which I've only recently discovered and I'm so glad I did. It's the story of the friendship which grows between Leonard, a little orphan boy from England, and an Aboriginal girl called Milba. Leonard arrives in the new colony of New South Wales with the First Fleet and the story is set against the backdrop of the first settlement of Australia. The illustrations in this book are beautiful, as is the story, and provide the basis for some great conversations. If you're a teacher, there's a lot you can discuss and do with this book, from art activities to writing exercises. This book tells the story of the arrival of the First Fleet from the point of view of the Aboriginal people, the first people to inhabit this land. It then goes on to show how the English settlers treated the Aboriginal people very badly, killing many and pushing them off their lands to make way for their farms. 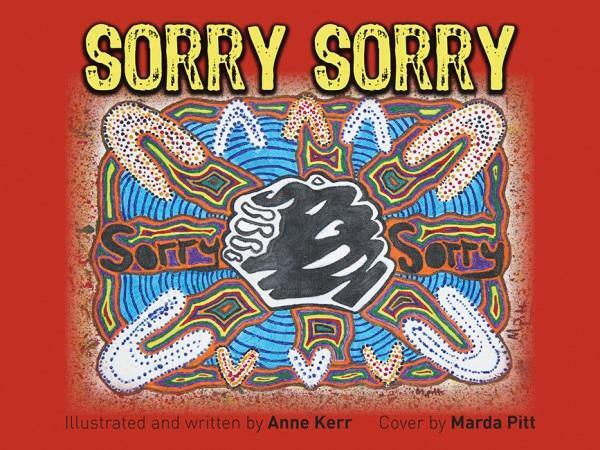 The effects this had on the land, as well as on the people, are explored and the book ends by explaining that the white people said "sorry" and that all people in Australia are now working together to build their lives and for the good of the land. The illustrations in this book are very simple but very powerful and there is lots to discuss. It's suitable for children aged from about six right up to about 12 and even teenagers will get a lot out of it. As an adult, I found it incredible to hear a story I've known nearly all my life re-told in this way and, as a teacher, I've been amazed at how it changes children's perspective on what happened. If you're using the book with a class, it provides a wonderful springboard for teaching perspectives and point of view, visual literacy and word choice, as well as the historical content. A really brilliant book. This book tells the true childhood stories of eighty Aboriginal Elders and twenty high school students. 'We use the bush as our school and as our playground,' says one of the storytellers. In these stories are memories of getting bush tucker, going fishing and taking part in ceremony, as well as descriptions of playing games, building cubbies and having fun. 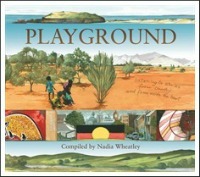 This is a book about family, community and connection to the land with wonderful artwork to illustrate the stories. It's a fabulous introduction to Aboriginal culture for non-Aboriginal children and it's also simply a wonderful book to share with your child. This book will have special meaning for your children if you've travelled through outback Australia or if you're planning a trip. Several years ago when my children were young, we did a trip through New South Wales, South Australia and the Northern Territory to Uluru. Playground had yet to be written then but it would have been a brilliant book to take with us to share with the kids along the way. It's suitable for children aged from about 9 up. 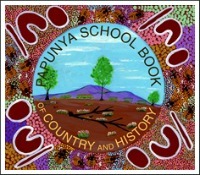 This book was originally produced as a resource to be used for the Papunya School curriculum. It's the result of a unique collaboration involving the staff and students of Papunya School, working together with children's writer Nadia Wheatley and artist Ken Searle. It's a fascinating account of the history of Western Desert communities from an indigenous perspective and has won many awards. The book begins with the story of how Anangu from five different language groups came to live together at Papunya. It tells of their first contacts with explorers, missionaries and pastoralists, of the Papunya art movement and the Warumpi Band. This leads on to the story of the development of the unique educational environment that is Papunya School. For non-Aborginal children, this book is a terrific way of explaining something of the rich history and culture of indigenous Australians. 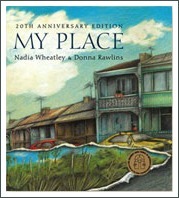 My Place is a well-known book in Australia and is often used in schools (there's a big book version). It was originally written to celebrate the bicentenary of white settlement in Australia and was made into a TV series in 2008. The book is a series of twenty-one stories, each about a different child at a different decade in history, beginning in 1788. Each story is self-contained and shows a different period in Australia's history as seen through the eyes of a child. The stories are set in Sydney and many of the children are linked through family across generations. Across all the stories, the fig tree, the map and the creek remain constant, tying the stories together. These three elements are symbols of the land and its sustenance of the people who live there. They link the 'place' to the original owners of the land and highlight how many people and many cultures now share it. Through the stories, we imagine what life was like for the children and their families. This is a brilliant book which is great to share with children of all ages. 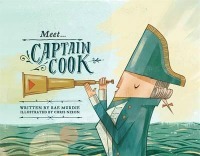 This book tells the story of Captain Cook, beginning with his childhood in England. It focuses on Cook's voyage to the countries that would later be called New Zealand and Australia and tells the story of the hardships the crew faced in an appealing and accessible way. It's worth reading aloud to children aged from about 5-10 years of age. As a teacher, I've used this book with a number of different Year 3 classes and it's proved to be a great introduction to learning about the European explorers, why they were exploring so far from home and how they found the continent which would come to be called Australia. There's now a whole series of these books and they're all terrific. 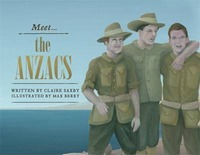 Meet the ANZACs is reviewed below and there are books about other famous Australians too. 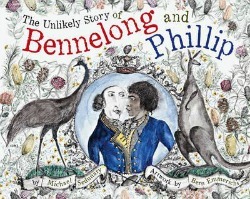 This is the story of the friendship between Captain Arthur Phillip, who brought the first white settlers to Australia, and Bennelong, an Aboriginal man. It's an extraordinary story and an important part of our history but it's often glossed over in history texts and it's rarely mentioned at all in books written for children. Yet the story provides a rich opportunity for highlighting the contrasts between traditional Aboriginal culture and values and 18th century European culture and values. A brilliant book, beautifully illustrated. if you're a teacher looking to use this book in class, it's probably best suited to children in Years 3-6 and there's a lot you can do with it. I've seen it used very successfully in a Year 6 class as the basis for a history unit, incorporating art and English syllabus outcomes and, of course, Aboriginal perspectives. This terrific picture book is a new release in 2014 and it's really worth looking out for. Using wonderful illustrations and text it tells the story of Australia's participation in the First World War, explaining how and why Australian men went to fight and what they did when they arrived in Egypt. The book doesn't describe what happened at Gallipoli but it describes the lead up to it sensitively and very well, leaving loads of room for discussion and perhaps for further reading. The book's probably most suitable for 4-10 year olds but older children and adults will also appreciate it. I use it every year on ANZAC Day to help children understand the context in which Australian soldiers left to fight in World War I and it's brilliant for this. This book does a wonderful job of explaining the issues around the Eureka Stockade, one of the most dramatic and important events in Australia's history. The book is set in 1854 and centres on Rosa Aarons who has travelled with her family travel from London to the goldfields at Ballarat in Victoria. Life is hard but Rosa makes new friends, learns to ride a horse and helps her family as they search for gold. As the conflict between the soldiers and the miners over the issues of mining licences comes to a head, Rosa helps the women sew a very special flag and worries for her father's safety. I first came across this book when I was looking for a text to use with a Year 6 class and I actually knew very little about the Eureka Stockade before I read it. The Year 6 students really engaged with it and I've used it with several other classes since. 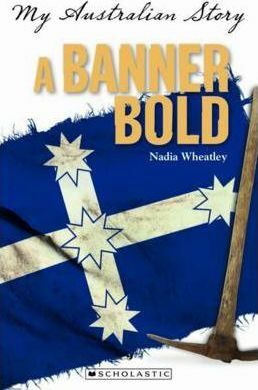 By telling the story from a little girl's point of view, Nadia Wheatley makes the story of the Eureka Stockade accessible and enjoyable. Great for children aged from about six up.